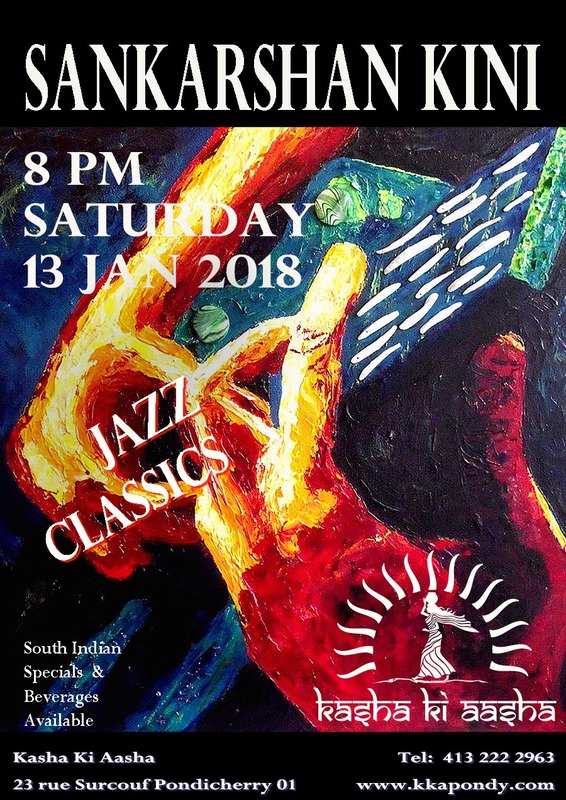 This Saturday evening, Kasha Ki Aasha welcomes the internationally renowned guitarist and bass player, Kaartik to the terrace. 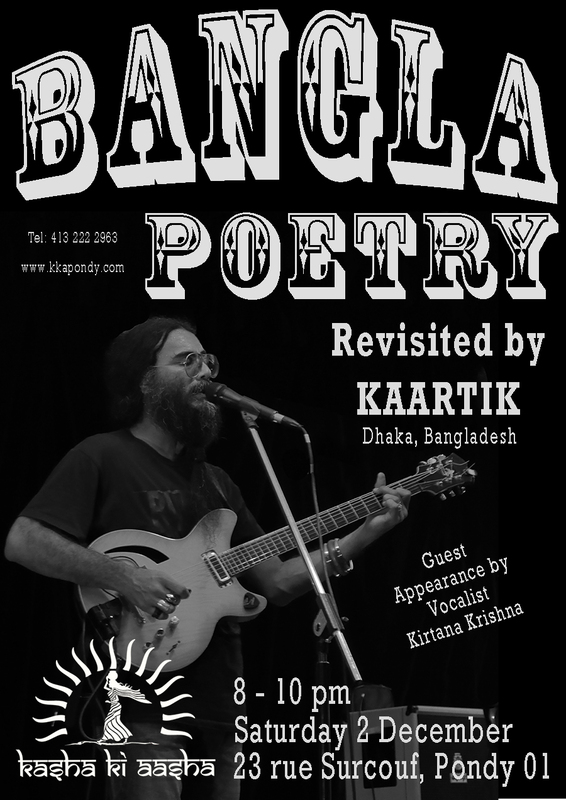 Kaartik, based in Dhaka, Bangladesh, got started in the international music scene as part of the renowned Bangladeshi band, BANGLA with whom he performed for most of the first decade of the new millenium. 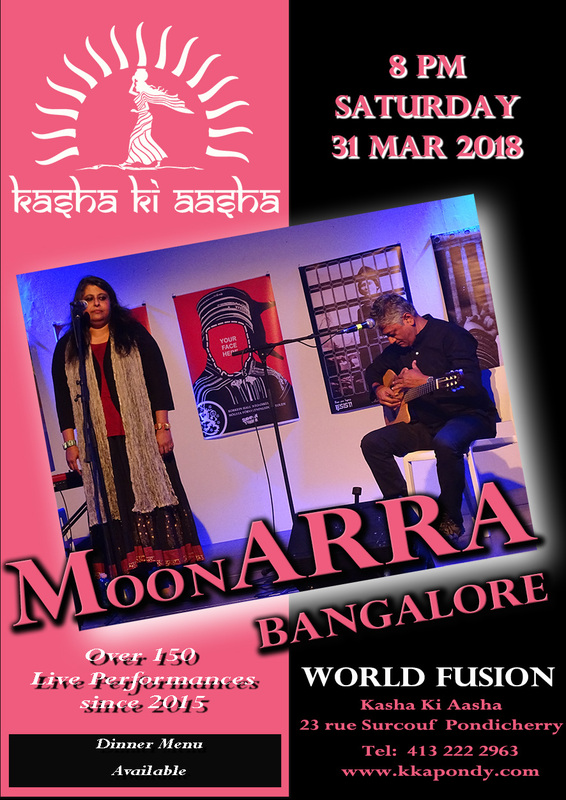 BANGLA a folk-rock band formed by the popular indie musician Arnob, made its name blending the traditional Bangladeshi folk genres like Baul and Lalon together with western flavours like jazz, blues and rock gaining a global following for its unique sound. 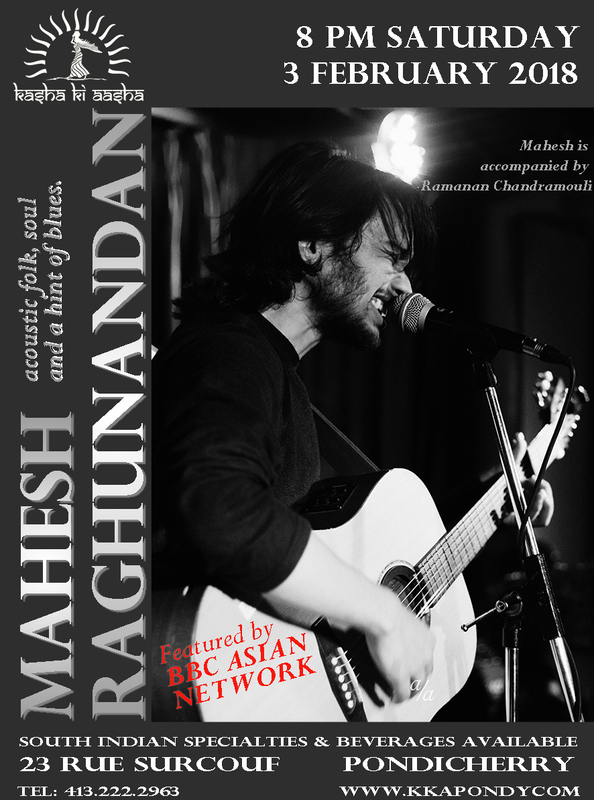 Leaving the band in 2010 to concentrate on his own personal style, Kaartik studied at the Swarnabhoomi Academy of Music and was certified in guitar in 2013. 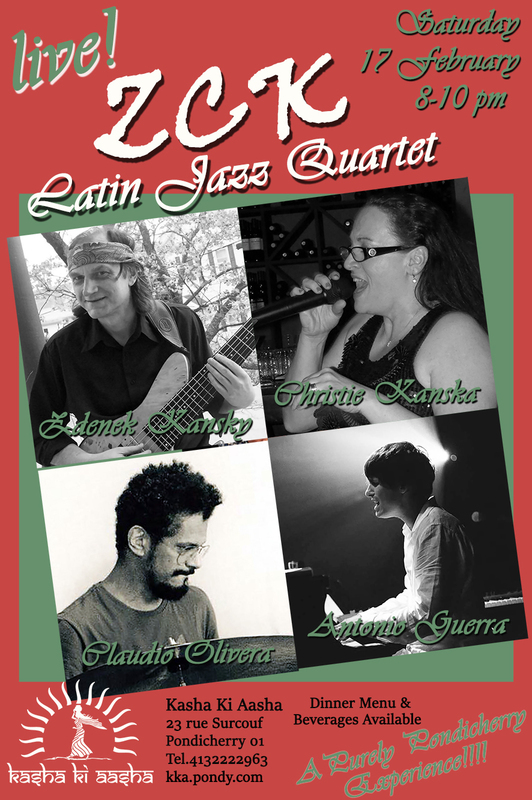 Today, Kaartik is a freelance musician and regularly performs jazz and contemporary with other established musicians and ensembles. 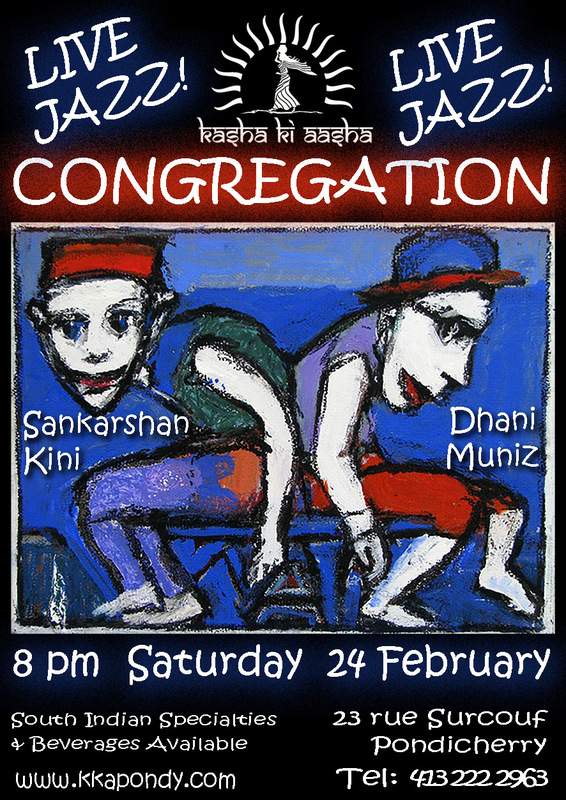 Kaartik’s performance starts at 8 pm this Saturday and will be comprised of rearranged Bangla Folk music by Philosophers and Poets such as Tagore and Lalon Fakir. 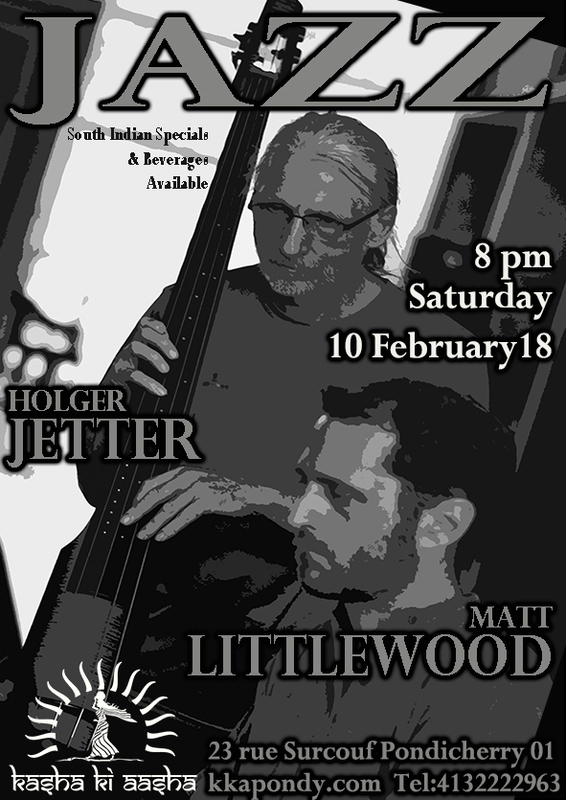 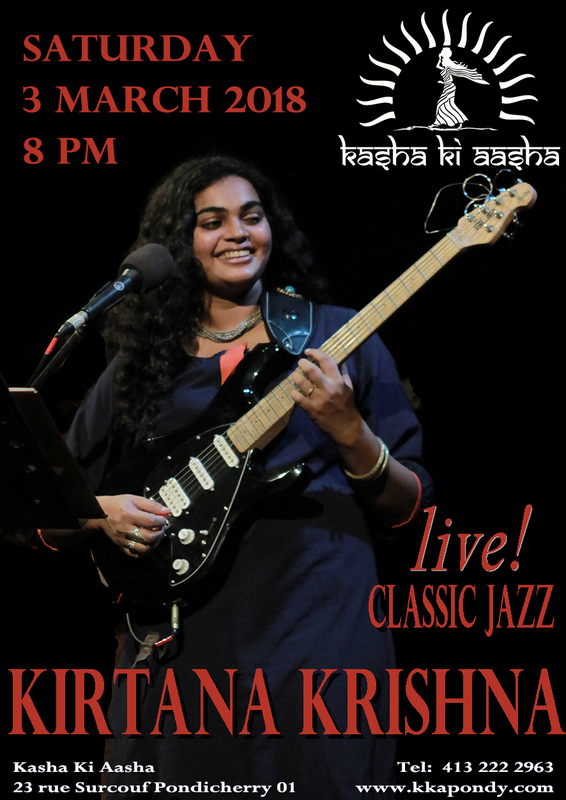 Kirtana Krishna will make a special guest appearance, on vocals and guitar. 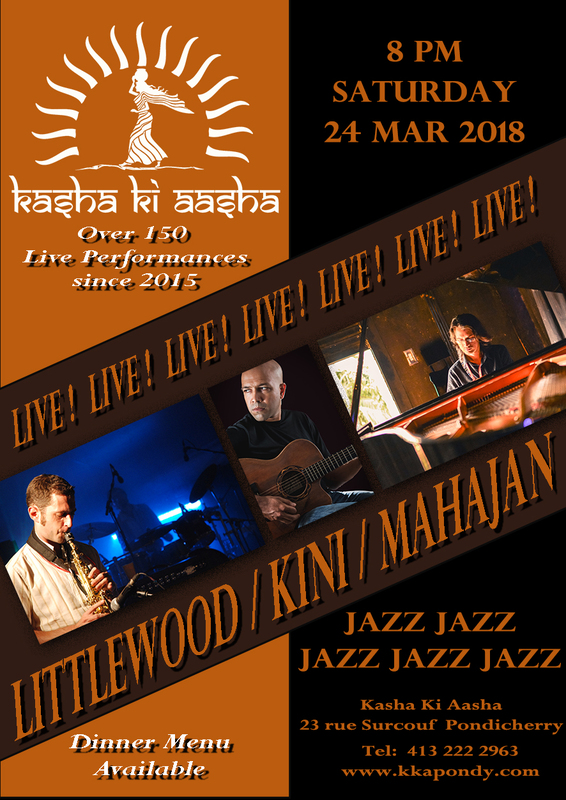 Kasha Ki Aasha looks forward to welcoming you for a special evening and another Purely Pondicherry Performance.